Emory Johns Creek Hospital will hold its annual Holiday Workshop on Friday, Dec. 2, from 6 to 8 p.m. The event is part of Johns Creek’s Founders week celebration to commemorate the city’s official incorporation on Dec. 1, 2006. The event will include: choral performances from Barnwell Elementary School, Findley Oaks Elementary School and Ocee Elementary School. 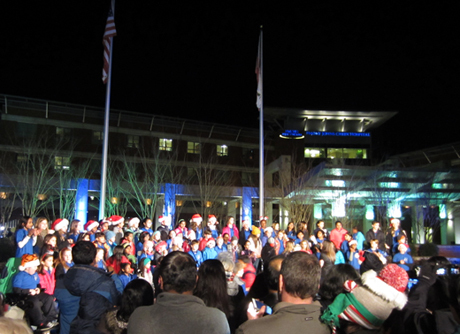 The holiday celebration will also feature crafts for children, pictures with Santa, a tree lighting ceremony and holiday lights along Johns Creek Parkway. Johns Creek Fire Department will sell dinner plates at the event. All proceeds will benefit the Georgia Firefighters Burn Foundation. Holiday Workshop will be held in front of the hospital located at 6325 Hospital Parkway. For more information, call 678-474-7000.